Our company offers exclusively demanded Chain Sprocket Hobs at most nominal market prices. These products are manufactured in accordance with the international specifications using premium quality metal that has been procured from trustworthy vendors. Highly resistant to corrosion, these products are globally acknowledged for their compact design and optimum performance. 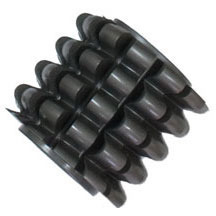 These Sprocket Cutters/Hobs are used to cut chain sprockets within the range from ¼” pitch to 3” pitch or 5 mm to 76 mm pitch in DIN; BS; JIS; ASA Standards.These are manufactured in single or multistart as per customer request. We are renowned as one of the leading Timing Belt Pulley Hobs Manufacturers and Exporters in India. The Timing Belt Pulley Hobs, that we provide, are known for their superb efficiency and longer working life. 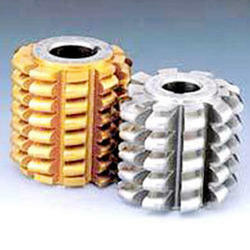 The Timing Belt Pulley Hobs, offered by us, are made to cut various types of timing pulleys. Looking for Pulley & Sprocket Hobs ?